This entry was posted on August 31, 2017 by Chelsea Strong. 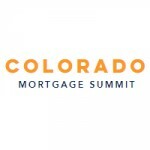 The Colorado Mortgage Summit presents an incredible lineup of educational sessions, business opportunities, and networking events curated specifically for the entrepreneurial men and women of the Colorado mortgage industry. Join your peers at Colorado's largest gathering of mortgage pros! Be sure to register here and we hope to see you all there! This entry was posted in Events and tagged Denver, Colorado Mortgage Summit, Agility Resources Group on August 31, 2017 by Chelsea Strong.